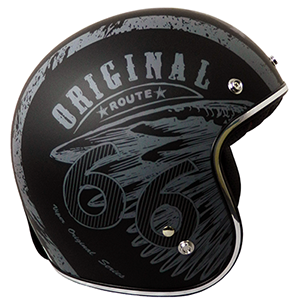 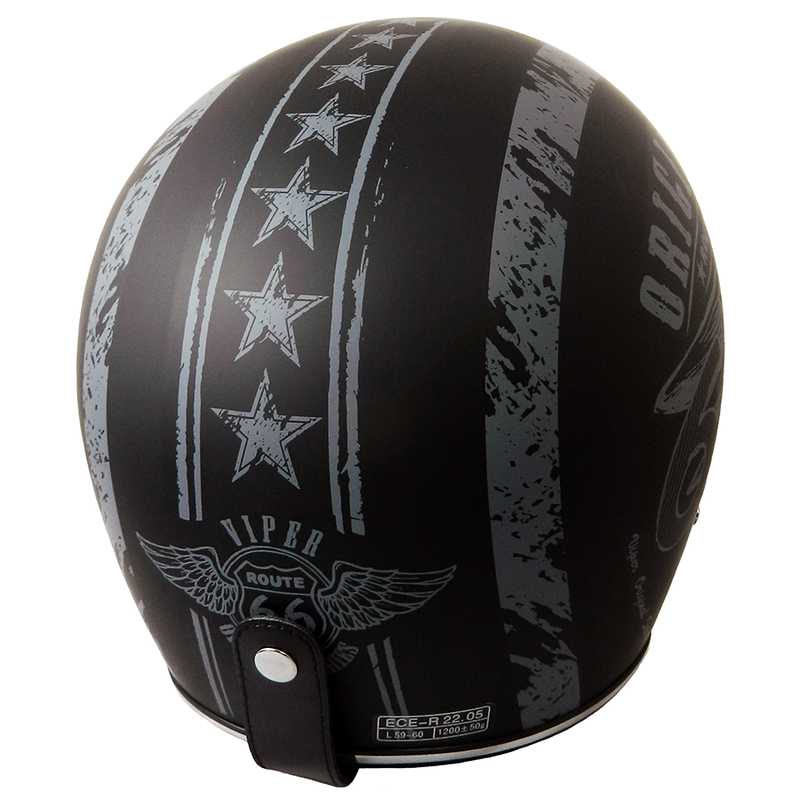 A slim fitting open face helmet with smart Route 66 graphics. ECE22.05 approved - British road legal. 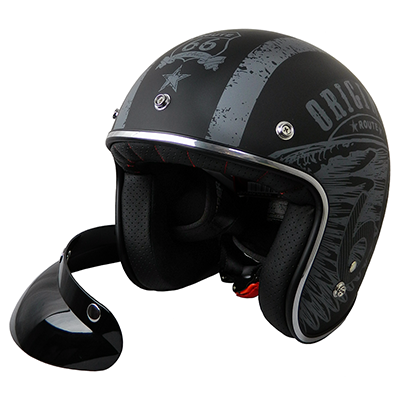 A lightweight, polycarbonate lid that won't leave you looking like your head is stuck in a fish bowl. 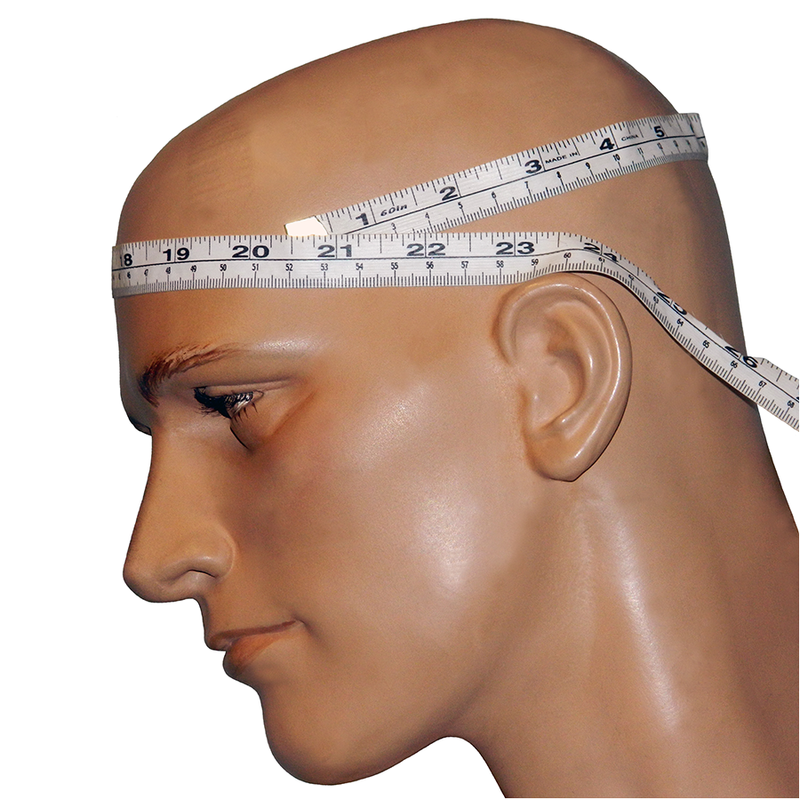 Foam padding - suitable for spectacle wearers.